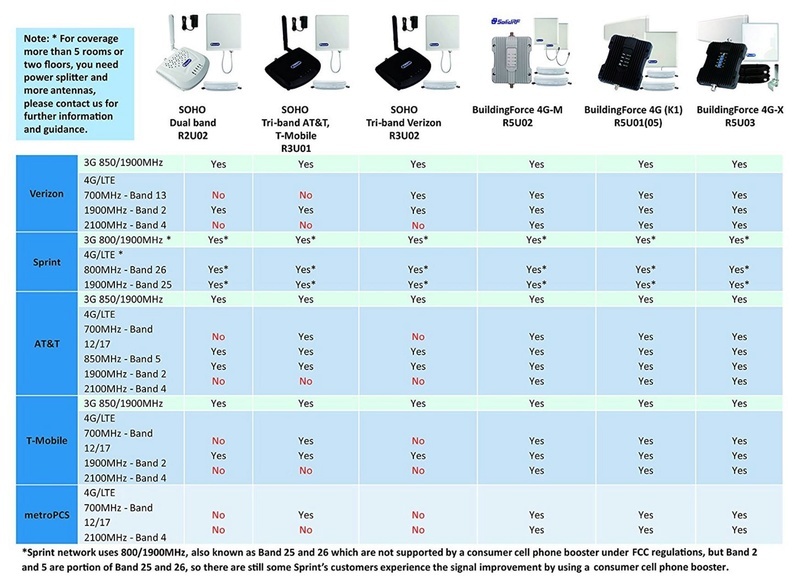 Here are some hints on using Telcel phone service in Mexico. FYI, I spend less than US $10 per month on my Mexico cell phone service. You will need an unlocked phone. Make sure your phone is unlocked or get a 2nd phone that is. Ask your service provider in the US if your phone is or can be unlocked. Buy a sim at a local Telcel store (not online) so you get a phone number that is local to where you are staying. Many Telcel stores have someone who speaks English. I am writing this in March of 2018. Things change rapidly. Indeed some of my hints may already be out of date. You can learn a lot at www.telcel.com , but you will want to go in person to a store to get service. The site is in Spanish. They do not have an English version. You can use Google translate on it (you may need to install a browser extension to translate the page). But much of the page will not translate (because they like to use pictures of text on their site). So use your laptop to browse the site and let Google translate what it can and use your phone's "translate from camera" ability to translate the rest. Telcel calls their phone packages "Amiga" plans. Which may get translated as "Friend". "Amigo Kit" is both a phone and a service package. I suggest you use your old phone or outright buy a new phone instead of the kit option. If you expect to make a lot of long phone calls then you may want an unlimited plan. "sin limite en Mexico, E.U.A., y Canada" means "no limit in Mexico, USA and Canada". Instead of an Unlimited plan, I find the "pay for what I use" plan MUCH better for me, cheaper and easier to manage. I make few phone calls and use Whatsapp or a VOIP app for most of my communication. (WhatsApp is very popular here for calling and texting and most data packages include a lot of free Whatsapp data - also Whatsapp phone calls on Wifi are free). The "pay for what I use" data rate is very expensive, but you can add data packages that are very reasonable (details below). [Most WhatApp usage is free - except when making WhatApp voice calls. WhatsApp calls are free when you are on Wifi]. Telcel calls their "pay for what I use" plans "Amigo per Segundo". Meaning you pay by the number of seconds your phone call lasts. This might get translated as "Amigo per Second" or "Friend for Second" or even "2nd Friend". Incoming calls and texts are free. Outgoing calls are roughly US 0.8 cents per second which is about US $0.48 per minute (but VOIP and WhatsApp calls are much less - about a penny per minute). Normal texts cost US 5 cents each (Texting via WhatsApp is free). Data is about US 5 cents per MB - which is about US $48 per Gigabyte. Ouch! However, you can buy add-on monthly data packages for about US $8 per Gig. Telcel charges in pesos. So quoting the above costs in US dollars means the actual cost will vary with the exchange rate as well as any change in what Telcel is charging. So your mileage may vary a lot from the above. It is just there to give you a feel for what it might cost. I spend less than US $10 per month. Telcel lets you add money to your account at many stores as well as online at https://www.mitelcel.com with a credit card (my US based credit card works fine). Some other carriers do NOT let you pay via the Internet. (e.g. ATnT Mexico does not have online payments - although this may have changed since I had ATnT Mexico over a year ago). I prefer Telcel for better coverage and because it has online payments. You must have money in your account to use the phone. Your account balance goes down when you make a regular call or buy a data package, etc..
Strangely, your account balance will have an expiration date (a "vig" or “vigencia”) that is 2 months from when you add the money. However, the money does not vanish on the expiration date - it just gets frozen. If you then add even a small amount of money to your account, it all gets unfrozen, so all is good again. This means you should maybe not add a bunch of money up front thinking it will cover you for several months. Do it monthly or bi-monthly. If you like, on their web site, you can set up an automatic monthly add from your credit card. HINT: dates in the US are month/day/year and in Mexico they are day/month/year. The translator may switch the month and day for you and it may not. As a result, it can be very confusing to know if a date like 8/9/18 is August 9 or Sept 8. So when you add your first data package, choose a period of time that makes it expire around the 25th of the month, so then it is obvious what the expiration date really means, e.g. 25/8/18 has to be Aug 25. Then once it expires, you can add a 30 day data package. PAY ATTENTION TO THIS: do NOT purchase a new data package until AFTER your current data package expires. When I tried to add a data package in advance of the expiration (on an Unlimited plan), I could not even tell where the added money went. It seemed to just disappear or maybe it extended my Unlimited plan. Not clear. In any case, with ANY Amiga plan, wait to your data package has expired, then buy another month's worth of Data. You will receive a text when your data package expires. You can then buy another month with a simple text. I text INT150 to 5050, and that buys me 1 Gig of Internet data for 30 days at a cost of 150 pesos (it deducts 150 pesos from my account balance). It also gives me a bunch of free WhatsApp and Facebook data. Combine that with Wifi and you get a lot of data. HINT: consider getting a free VOIP app. You can get one with a free US phone number and as long as you have a data connection in Mexico you can make free calls to the US and you can call 800 numbers in the US (which do not work when calling via normal Mexico cell phones) and your friends back home can call you for free. There are many such apps, such as Google Voice, TalkaTone, FreedomPop. You can find your current account balance on their web site https://www.mitelcel.com , or you can do it fairly easily on your phone: Dial *133# (you may see "USSD code running"). A pop up box will show you your balance, and give you 5 options. To see how much Internet data you have left...Enter 1 for "Detalles de tu Saldo" (Details of your Balance) and press Send. Then ener and send 3 for "Saldo Paq. Internet Amigo" (Balance for your Amigo Internet Package). It will then show you how much of your Internet Data has been used, what is left (Resantes) and how much you have left for WA/FB/TW (WhatApp/Facebook/Twitter) and when your data package expires (Vigencia). [The above works on Android phones, I am not sure about iPhones]. Telcel has an app, but unless you are fluent in Spanish, forget about it. There is no way to translate it. You will want to get your credit card out. You will need the number and the CVV. This is best done on your laptop. Use your phone for additional translating. But works on phone too. Note that their mitelcel.com site translates much better than their telcel.com site. Única vez = One time. Ingresar nueva tarjeta= Enter new card. Thank you! The transaction has been successful. The balance was credited to the selected number. Desde aquíadministra tus tarjetas guardadas. = From here, manage your saved cards. DIAL *133# to see $bal. Then 1 3 to see Internet remaining. Note the web site mitelcel now shows this info nicely. You re-activate by adding funds and your previously held funds are useable again. I generally use Mi Telcel. The trick there is that adding an online credit card is iffy as it's set up to handle Mexican cards for my Postal Code. I used 12300 which I was told awhile ago is a good "generic" one to use as it's accepted in many programs. That's worked for me. Save the card so you don't have to go through the whole verification process again. I also can top it up from my Mexican bank account. As I'm a Canadian we currently do not have any true North American plans (although Rogers likes to say they have one but, oops...Mexico isn't included). Having my Mexican cell gives me a cheap add on to use while at home and a great option in Baja. The last item to know though, is that I've been told that you do need to watch your use outside the country because if it becomes significant enough compared to use in the country then there might be an issue (because truly, for a Canadian this is a better plan in some ways). I don't know how correct this is as I've never personally read the small print and I haven't been having any problems with my usage. Again, the data side might be where the problems are as the plans are really rated based on Data, not voice/messaging. > Alternatively, you can skip the Telcel store and just go to an Oxxo. Here's a link to the "Amigo sin limite" plans. https://www.telcel.com/personas/telefonia/amigo/paquetes#!paquetes-amigo-sin-limite Notice that the $500MX one gives you 4GB data for 30 days. Ask at Oxxo for the plan you want when you buy the SIM. > I think Oxxo charges extra for the SIM (maybe about $100?) but I'm not sure about that. One of the benefits of this method that I like is that you don't have to show ID or fill out forms. This probably isn't important to most people, but I use an old unlocked GSM phone in Mexico that I don't have registered even for Google, and I kind of like the anonymity. Usually the person in the store will set it up for you for your smiling courteous behavior, which will include picking a time when the store is not too busy and there is no one else in line behind you. One disadvantage is that every time I make a call (not a text or use the web) I get a quick oral nag message asking me to update my personal data, but this is offset by not getting email ads from Telcel partners. Slows up my phone call by 10 seconds. > I didn't know that one could use the same SIM after it has expired, perhaps on your next visit to Mexico. Good, if true. Can someone confirm that, because I'm reentering the country in a few weeks after having been away for several months? Also, does anyone know what happens if one uses up one's megabythes from one of the cheaper plans but are still within the time limit of the plan? Is there a way to just buy some more data, or must one renew the plan by buying more days? > You can register your number on their web site and check your data remaining and also pay with a credit card. They also have an app. I have 2 plans. One is 200 pesos unlimited North America with unlimited Facebook and sms with 1 gig data and the other is 300 pesos with all the same but 2 gig data. You don’t need to go to xoxo. They will set you up at Telcel. Bring your passport if you don’t have a resident card. If no line you will be in and out in less than 30 minutes..
>> Sorry, that was $500 for one month. >> We have been here 2 months. We got new SIM cards when we arrived, at Telcel and were able to get 4GB data and unlimited calls to the US and Canada for $500 pesos. Had to renew at a Telcel store, cash only. Also you have to have your phone unlocked by your carrier before you leave Canada (don't know about the states, but it is free in Canada). Activation was trivial, they did it for us in the Telcel office. Hope that helps. >> Mexico. I have not found the prices..
>> to pre-order and receive a chip at home before flying in..
>> Can I do it at the airport? >> I normally reply promptly. If you don't get a reply when expected, maybe I did not get your message. Verizon seems to work pretty well in Baja and LV. I've used an AT&T go phone for several years, but wanted to try the Verizon phones used stateside. We have a limited US 3Gb share plan, and found if you upgrade to their unadvertised/unposted XL (16Gb) plan for $15 more per month per phone you get international/Canada/Mex with unlimited minutes, hotspot, and 16Gb data. You have to call and ask. They are pushing the Unlimited Plus with international which costs much more. Plus, if you have a limited plan you can turn on and off the XL (upgrade) on a monthly basis, ie. add it for the months in Mex, then turn it off, going back to the limited plan. They apparently stopped advertising this option in early 2017, but it is still available on their internal web...Geesh...There $5 per day travelpass is great if you are only traveling for a few days, but for any more it doesn't cut it..
AT&T and TMobile, Verizon all work. 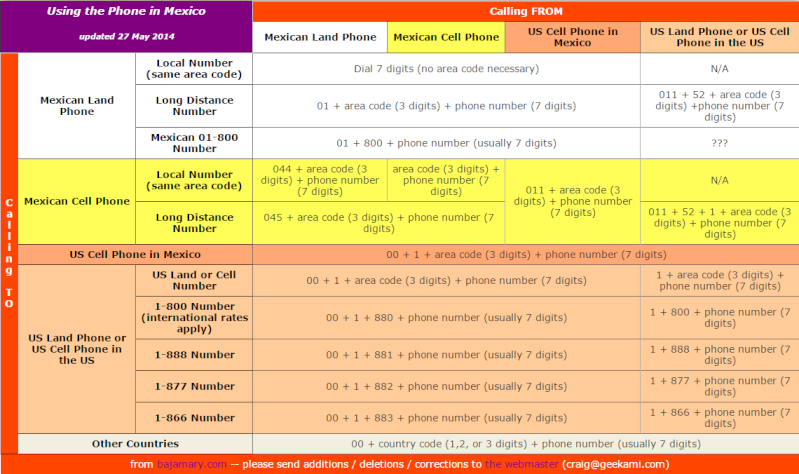 Interesting Cell phone plan for Mexico. Dose this apply to you? You must 55 or older. You must live in an area that is covered by Telcel in Mexico. Unlimited texting, unlimited voice calls and unlimited LTE data on the phone. The only limited part is tethering a computer. It is still unlimited data but They limit the speed to 3G. The cost is $50 per month for one phone and $60 for 2 phones. We were paying about $85 per month for 2 phones so that was a $25 per month savings for us. This price does include all fees and taxes. The area we spend the winter is well covered by Telcel so this was a good upgrade for us. bpe wrote: b. Cell Phones: Regarding cell phones. If you have AT&T in the States, your phone will now default to Nextel instead of Telcel (because, apparently, AT&T has some sort of contract agreement with Nextel). Nextel is not fully compatible with AT&T so many of the functions that work perfectly when using Telcel as the carrier will not function if you are connected to Nextel. I contacted AT&T International at 916-843-4685 and they were able to solve this problem for me using an IPhone. Don’t know if this is an issue with other types of phones. They can send you the option to choose your carrier. It shows up in the Settings under Cellular AFTER YOU TURN OFF YOUR PHONE AND TURN IT BACK ON. It is called Carrier. You click on this, turn off Auto. the phone will search available carriers. You can manually select Telcel and all phone functions will magically start working. Or at least they did on my phone. Good news, Los Barriles finally has a higher speed mobile data network with Telcel. It’s actually HSDPA speed which in English is enhanced 3G. That equates to descent speed as long as it can support the number of actual users on line at any one time. Remember, everyone shares the bandwidth on a mobile network. this chart has it all. click on chart or link for full sized. FINALLY, thanks to janeel eddie, got thru to someone that got it done. i did have to upgrade from 3G to 4G GSN phones. got 2 samsung odyssey phones, new on amazon for $100 ea. shipped to a friend in chicago area who activated and had sim cards put in. he brought them down last weekend and still "no servicio". janeel provided me with the lifeline i needed. verizon international support 1 908-559-4899 very short wait and a guy who handled everything. he pulled up a simulation of my old and new phones and walked me thru. even issued a 50% credit for sept and oct bill. never went to a supervisor and made sure he had my mex cell to call back if we got disconnected. 1) Verizon and Sprint are CDMA carriers in the US and Mexico. Those carriers are available only in La Paz and Cabo. They do charge a fee for service in those areas. Verizon is slowly departing the CDMA network but I'm not sure even the new phones are compatible with the local GSM networks. TMobile and ATT are available through roaming service provided by TelCel and MoviStar. ATT offers a reasonably priced Viva Mexico Plan but you have to press them to make sure it's still available. Remember their "North American Plan" is history. TMobile with certain plans offers free text and data at 2G speeds. TMobile does have a reduced price voice roaming plan for Mexico. The cheapest is a non-contract carrier - Republic Wireless. They use the Sprint Network in the US; that will not work in Mexico but it will connect through your wireless network at home for around $8 per month. You can change your plan up to twice a month. All plans give you unlimited text, voice and data. Their standard 3G plan in the US is under $30 per month. With Republic Wireless you have unlimited calling to and from the US over WiFi. Personally, I have ATT and Republic Wireless phone service. 2) There have been questions about which US company has the best cell service in Baja. I suggest you look into getting a Telcel SIM for your US phone. We have iPhone 4S and a 5C through Verizon in California. When we arrive Baja, we simply remove the Verizon SIMs and install the Telcel SIMs. It’s dramatically cheaper than US plans, ca. MXN$2/minute. US plans for Baja are expensive at USD$0.75/min. The good thing is you never get shocked by how much it cost when you get your bill; if you run out of Telcel minutes, it simply stops working for calls; but you can recharge by telephone or at OXXO stores. Or you can buy a simple Nokia for MXN$300. The only complication with either of these is that you need to tell friends/family your Telcel number. go to www.mitelcel.com and register your number with a password to get all the info you could need.